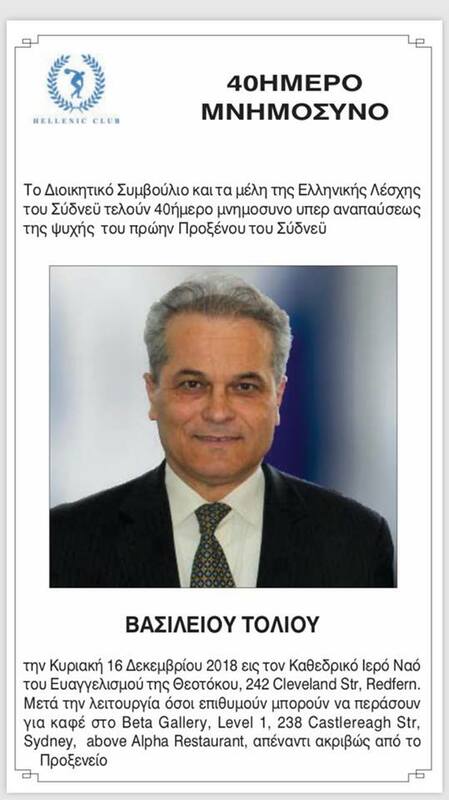 To honour the memory of the Late former Consul General Vasilios Tolios, the Hellenic Club is holding a 40 day memorial service on Sunday 16 December 2018. Church service: Our Lady of Annunciation, 242 Cleveland Street Redfern. Followed by coffee and respects at Beta Gallery, above Alpha Restaurant, 238 Castlereagh Street Sydney.